The worker they sent was very good. They were on time, they were able to get the parts that they needed, and their employee was good. Don't hesitate to give them an opportunity to look at the situation and give an estimate. I thought that the technician they sent out was very competent and helpful. He explained what he was going to do, and I felt completely at ease with what the intentions were and what the results were. I thought they did a very fine job. He was very neat, and he cleaned up after himself. I understood everything that they were going to do. They did plumbing for my whole building , so I'm very comfortable with calling them to do the work, because they know what's here to start with. They don't have a high turnover with their personnel, so it's often times the same person who comes back to do the work. 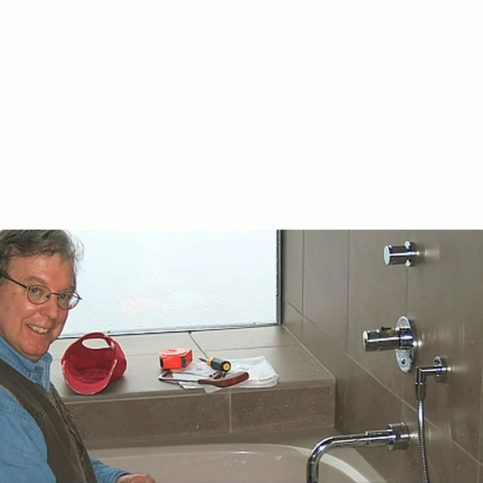 The Lunt Marymor Company provides plumbing, hydronic (radiant) heating and fire sprinkler services for new custom homes, remodels, and additions in Alameda, Contra Costa, Marin, San Francisco and San Mateo Counties. The company’s design/build capabilities allow it to offer a full-service business approach, from installing new equipment to repairing or upgrading existing equipment such as tankless water heaters, high-efficiency toilets and condensing boilers. It also handles new construction and tenant improvements for commercial buildings. President Leigh Marymor and his Partner Emeritus, Jim Lunt, have more than 70 years of combined plumbing and hydronic heating experience. In 1999, they merged their expertise to form The Lunt Marymor Company. They say the most important characteristic of their business is its clear, open style of communication with clients, which allows for thorough explanations of each job and a consultative approach to its work. The Lunt Marymor Company’s technicians are trained to utilize equipment and materials made by the top manufacturers in the industry. The company’s proactive approach anticipates challenges, which it presents to its clients with clear, value-weighted recommendations. 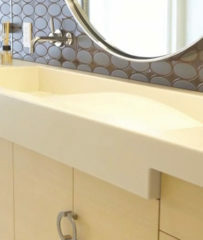 The Lunt Marymor Company recently installed this sink in a client’s home. 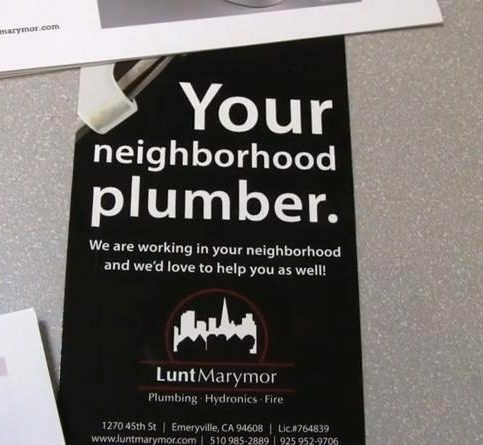 The Lunt Marymor Company offers full-service plumbing, hydronic heating and fire sprinkler services to clients in Contra Costa and Alameda Counties. Design/build and repair/maintenance are major parts of the firm’s business, and it’s also at the vanguard of Green plumbing practices. The Lunt Marymor Company was founded in 1999 by Jim Lunt and Leigh Marymor, who each ran their own successful companies before becoming partners. Mr. Lunt and Mr. Marymor work at the firm every day, and they say customers benefit from their 60-plus years of knowledge and experience. All Lunt Marymor’s technicians undergo a four-year apprenticeship from the Plumbing-Heating-Cooling Contractors Association, which allows the company to develop a high level of craftsmanship. According to Mr. Lunt and Mr. Marymor, The Lunt Marymor Company starts each job with a consultative approach and clear, open communication with clients. Customers get a thorough explanation of each job before work starts. The company also believes in fair pricing–it publishes its rates so potential clients can decide who’s best equipped to handle the work within their budget constraints. All materials used by the firm are invoiced at prices dictated by the Modern Wholesale List (an industry-standard publication that’s used by most plumbing contractors). Conserving water is an important part of living Green in the Bay Area. Emeryville-based The Lunt Marymor Company, which specializes in Green plumbing, has identified four technologies that effectively conserve water resources. The first two are “smart” technologies. Smart faucets have motion sensors that activate a pump and push water that’s been sitting in the hot side of a plumbing system to the cold side. When someone turns on the hot water tap, the water in the pipe is already hot and unused cold water isn’t wasted. Smart showerheads shut themselves off until someone steps into the shower. Combined with a feature that injects ambient air into the 1.6-gallon-per-minute, low-flow water stream, they can increase water pressure and save up to 3,000 gallons per year, per person. 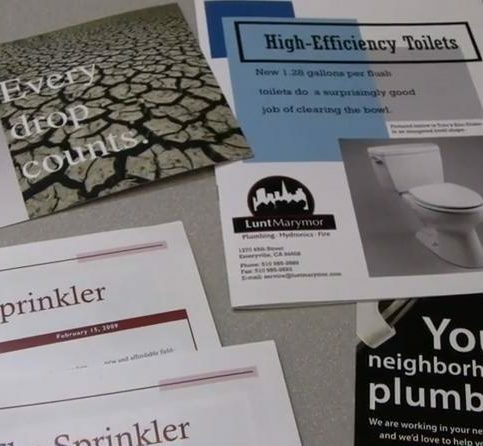 High-efficiency toilets, which use half as much water as traditional designs, are another option for water conservation. Rebates are available from the East Bay Municipal Utilities District. Also, screw-on aerators attached to a faucet can cut water use by half. The cost of most plumbing jobs can’t be reliably estimated in advance, especially if the problem is behind a wall or ceiling, so more important than the overall cost estimate is to determine a plumber’s hourly labor rate. Also, find out what the plumber’s policy is for travel time charges (most plumbers spend a good deal of the day driving between jobs). Choosing a local plumber with a higher rate can actually cost less than a more distant one with a lower labor rate. Check if the plumber charges for materials based on the Modern Wholesale List price (an industry-standard publication used by many reputable plumbers). If the plumber uses it, you won’t be overcharged for parts. For any job more complex than a straightforward faucet replacement, Lunt Marymor advises you select a professional, licensed plumber, not a handyman. Also, be leery of franchise plumbing firms. Their prices are often inflated and the franchise owners are often individuals working out of the back of a truck. If not done properly, even small jobs can become big and expensive, and investing in quality up front will lessen the probability of future problems. 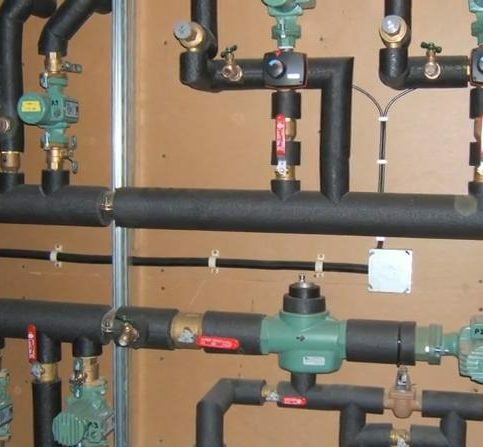 Q: Can you design and build an entire plumbing and heating system? A: Yes, design and build is one of our focuses. We can design any system, from a complex one for a new restaurant to a simple one for a home addition. A: Traditional home heating is accomplished with forced air, but hydronic heating includes all types of hot water and steam heating. Hot water heat can be delivered to a room through a radiant floor, radiators, fan-coil heaters, fin-tube baseboard convectors, or a combination of any of these devices. There are a wide variety of possible applications using each of these methods. For instance, radiant heat can be delivered through a floor, wall or ceiling. Hydronic heating provides a high degree of temperature control within a heated area, and it’s renowned for the comfortable and even heat it creates. Q: Is it hard to get clean with a low-flow showerhead? A: Not anymore. Today’s low-flow showerheads are both efficient and comfortable. We test the Green products we install in our own homes and offices. We don’t install products we wouldn’t use ourselves. Q: Do you install low-flow toilets? Q: Do you install tankless water heaters? Is one right for me? A: Yes, but they’re not one-size-fits-all solutions. A water heating system has to be designed according to the size of the home and the needs of the client. We’re very conscientious about asking the right questions about a client’s needs. Q: Do you install fire sprinkler systems? Are there limitations to these installations? How long does it take? A: “Yes, we install fire sprinklers. Residential fire sprinkler systems are now required with new home construction, and many times with large remodeling projects, whether a new addition or an entirely new building. Allow plenty of time to get through the design and permit process. Installation varies with the size of the project. Q: What’s your hourly rate? A: We cover the first 15 minutes of travel time from our shop in Emeryville. Travel time beyond that is billable. Q: Do you give specific appointments? A: Yes, and we try to keep them. Sometimes the scope of a job scheduled for earlier in the day will be larger than expected and force us to be late. If that happens, we’ll call and let you know when we’ll be arriving. 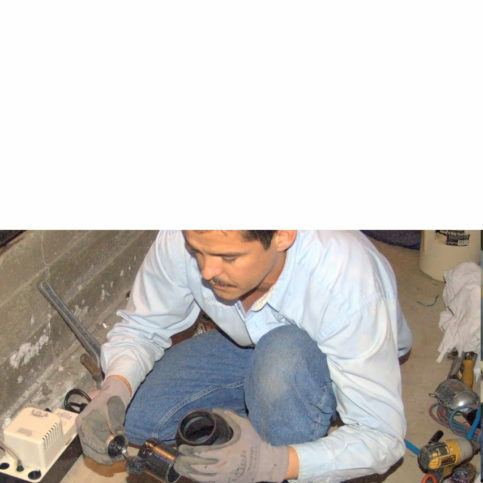 Q: Do you do sewer video inspections? A: Yes. We’ll provide you with the video, a detailed report on the condition of the pipe, and any recommendations that may be required to correct deficiencies. Q: Do you do background checks on your employees? A: Yes. 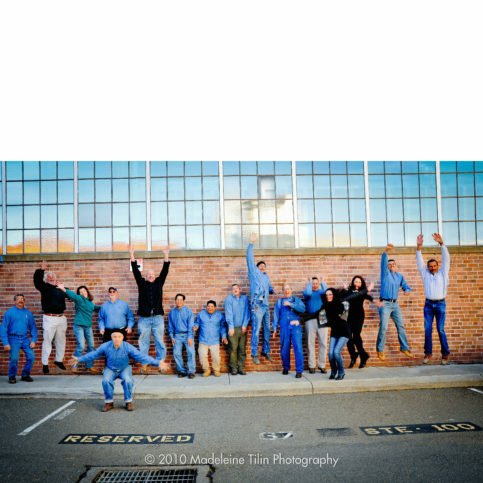 Most of them have been with us for years, and we have a very low employee turnover rate. These publications detail Lunt Marymor’s commitment to sustainability. Antonio prepares a pipe for solder. Leigh Marymor is owner of The Lunt Marymor Company, a Diamond Certified company since 2007. He can be reached at (925) 567-3966 or by email. A: I would go to the past so I could meet some of the people whose art I’ve been looking at for all these years. A: Saul’s Restaurant & Deli in Berkeley. Q: Fiction or nonfiction books? A: Fiction. I particularly enjoy Latin American surrealistic authors like Gabriel Garcia Marquez and Jose Saramago. Q: Who makes you laugh? A: Robin Williams, as well as some of the old classics like Red Skelton and Jackie Gleason. EMERYVILLE — It’s important for California homeowners to be proactive about saving water, particularly during times of drought. By taking a few simple measures, you can minimize the amount of water that’s wasted in your home. One of the most common ways people waste water in their homes is by waiting for hot water to reach a faucet or shower—in many homes this can take up to one minute, which means countless gallons are lost down the drain. One way to prevent this is to install a hot water recirculation pump. Activated by an on-demand motion sensor, the pump “recirculates” the standing water in the hot water line, rerouting it through the cold water line and returning it to the water heater to be used at a later time. At the same time, the pump pulls hot water directly from the water heater to the faucet or shower. Besides saving water, a hot water recirculation pump saves time by providing hot water to the point of use. While a hot water recirculation pump can reduce the amount of water that goes down the drain, there are also ways to reduce the amount that comes out of the spout. An easy and inexpensive way to do this is to replace your faucet aerators and shower heads with low-flow models, each of which can save up to one gallon per minute during use. In the past, low-flow fixtures were criticized for their weak pressure, but today’s designs offer a comparable level of comfort to that of conventional faucets and shower heads. Another way to reduce your home’s water usage is to repair leaky fixtures. It goes without saying that a dripping faucet wastes water, but few homeowners realize the sheer volume that actually gets lost down the drain. An average slow-dripping faucet can waste more than 25 gallons a day, which amounts to more than 9,000 gallons over the course of a year. To determine the long-term effects of a leaky fixture in your home, purchase a drip gauge from your local hardware store. EMERYVILLE — Host, Sarah Rutan: If you’re planning to replace your old, traditional water heater, it’s important to know the full extent of your options. Today we’re in Emeryville with Diamond Certified Expert Contributor Leigh Marymor of The Lunt Marymor Company to learn more. Diamond Certified Expert Contributor, Leigh Marymor: When it comes time to replace the old, leaking standard style hot water heater – this one’s thirty years old – there’re many options on the market to think about in terms of what you want to install next. The least expensive installation is going to be to replace like with like, and put a new standard hot water heater tank right where the old one was. But, there are a couple of cautions in making that decision. And, the one that’s most important is to realize that the replacement models are all going to be taller and wider than the one you’re replacing. And, this is due to the new federal energy efficiency rules that have come out this year that designate a higher energy factor for these water heaters. So, if you are at all space constrained, either by height or by width, you’re going to want to think about another option. And, many of those options are the new high efficiency energy models which we can take a look at now. Jim Lunt, co-owner of The Lunt Marymor Company: So, an option for a high efficiency water heater to fit in the space that’s currently occupied by a conventional water heater that we spoke of, is an on demand water heather. As you can see, they’re quite small, quite compact. This one is condensing, so it’s quite efficient – very high efficiency. However, there are considerations – what we call the installed cost – that can be markedly more than you might anticipate. One is, undoubtedly, it’s going to need a larger gas line than what you have now. These require quite large gas lines. Two, you a 120 volt outlet. They require a plug that they can plug in to – an outlet they can plug in to. Three, you’re going to have to change your flue. You cannot reuse the flue that you have with a conventional water heater. In addition with this one, you also have to have a combustion air piping system. And lastly, you have to have a drain for the condensate that this unit produces. In addition, with any on demand water heather, you need to be aware that there will be what’s called a cold water sandwich. And, what that is, is when you turn your hot water off at your sink, and a little bit later you turn it back on, there’s going to be, eventually, a slug of cold water. And what that is, is it’s the time it takes cold water to begin flowing through the unit, the burner coming on and heating that water until it’s finally hot and going out into the hot line. So, these units offer flexibility in terms of where they can be installed – spatially they take very little space – they are potentially quite efficient, but you do need to consider the installed cost. The unit cost is not that much, the installed cost may be substantial. You should certainly – in thinking about high efficiency water heaters – be considering high efficiency storage tank water heaters that have their own set of advantages. Diamond Certified Expert Contributor, Leigh Marymor: This system uses a very simple and inexpensive venting system. It’s literally constructed of two inch PVC tubular pipe. One to carry combusted gasses, and the other to bring in intake air for the burner that terminate either at the roof or through the side wall of the house. We mentioned the condensate – the condensate comes off that venting system, and that moisture ultimately will be directed to a drain, or possibly to a gravel sump out in the yard. The other thing that we like about these units are their track record and their longevity. There are manufacturers that offer this unit with a stainless steel tank, for example, and that tank will go many, many years. We’ve yet to see one fail. At the end of the day, living with this style hot water heater is going to be very much like living with the conventional tank style hot water heater, but with the marked advantages of producing copious amounts of hot water at very high efficiency, and avoiding the nuisance of the cold water slug. EMERYVILLE — Host, Sarah Rutan: Every year, we use thousands of gallons of water on our homes. 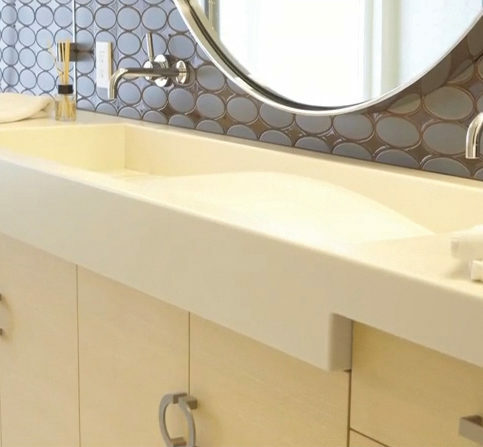 Today, we’re in a San Francisco Bay Area condo with Diamond Certified Expert Contributor Leigh Marymor of The Lunt Marymor Company to learn a few ways you can conserve water in your home. Diamond Certified Expert Contributor, Leigh Marymor: We are here in the East Bay in a condo and we are here to talk about water conservation. In California, the drought is particularly onerous this year and we are all looking for ways to save water in our homes. One of the biggest problems is the amount of water that we waste waiting for the hot water to arrive. In this particular condo, it takes 50 seconds for the hot water to come from hot water heater to the shower and all that water goes down the drain. What can we do to prevent that? Well, one solution is to install a hot water recirculation pump and I have one here that you can take a look at. This particular pump is located underneath the sink cabinet. Its activated by an on demand motion sensor so when we walk into the room, the pump knows we’re here, it turns itself on, it pulls the water that is standing in the hot water pipe that is currently cold through the pipe to the pump location and by the time the pump turns itself off, the hot water is standing by ready to use. Let’s talk about a little bit about how to save water while we are showering. The standard shower head flows water at the rate of 2 ½ gallons a minute but the new robust 1 ½ gallon a minute water saving heads are really quite comparable to use and have some interesting features that enable us to save even more water. Let’s take a look. The head on the right is a water saving head and has a very robust pattern of spray. So the nice feature about this particular head is while I’m waiting for the water to get hot over here and I’ve walked over to the bathroom sink and I am brushing my teeth, this shower head will turn itself off until I can get back across the room so I can step into the shower compartment. A nice feature. A common historic complaint about low flow showerheads is that they weren’t very comfortable to use and they weren’t very satisfying bathing experience but I think you can see when we compare these two heads side by side, all that has changed. You can compare the two stream patterns, pretty much equivalent. We took a look across the room in the shower to see how we could save water by changing the shower heads that we use. 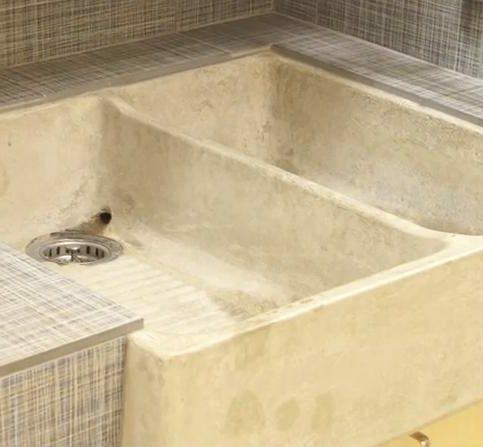 We can do the same thing here with the laved sink. The standard sink aerator boils water at the rate of 2 1/2 gallons a minute. But we can adjust that by changing the aerator that will retrofit on almost all common faucets and get the flow rate down. Let me show you the difference between the standard 2.2 gallon flow and the water saving 1.5 gallon flow. Here we have the 2.2 gallon per minute flow and here for comparison, 1.5. It goes without saying a dripping faucet wastes water, but really how much does it waste? I’m going to use drip gauge to actually measure the water loss and we can find out. Here is a simple five second test. I am going to catch the drip. 2, 3, 4, 5 and I am going to read the gauge. The gauge tells us that a drip at this rate will waste 27 gallons a day, 9,720 gallons a year for this drip to continue. It’s really worth fixing. The Lunt Marymor Company : Average 9.0 out of 10 based on 350 unique customer surveys of customer satisfaction. Highly recommended, they are very knowledgeable and upfront about what they will be doing and how much it costs. They do the work they say they will do. Everything, literally everything, the guys were professional and friendly. I would say that they are a good choice. It really depends on what you need them to do, as they do a lot. They were on time, honest, and upfront. I thought the work was done very efficiently. They are reliable when we need them. They have always been reliable, and that's all I need when I'm working with another company. They are reliable, plus they know their stuff. They did a good job, so I'm not really sure what else I would say. We are satisfied customers. They were just very professional. I think the work that they do is worth the cost. I don't know, no comment. I have no idea. They were here and got the work done, I guess. They are quick and reliable. They showed up fast and knew what they were doing. They have been really, really reliable. They have workable invoicing for the company, and things go smoothly. We have been doing business with them for a while now. They are very professional. We all use them here. They are our preferred company to use for projects. They have done good work for us. They know what they are doing and get the job done. They were brought in to help with the design of some more complicated plumbing and not make it as complicated. They were 100% professionals. 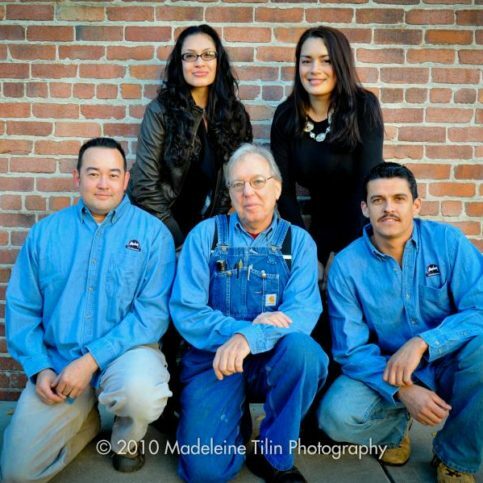 I would recommend them to anyone seeking a plumbing company for any remodels. They were very creative with the problem solving. Great service, I'm a general contractor and I have been using them for years.